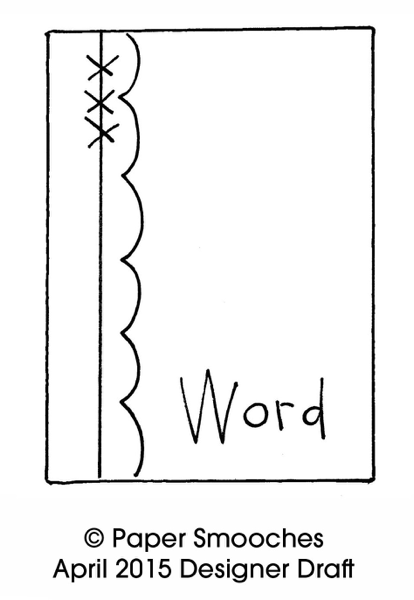 The challenge for Paper Smooches SPARKS Challenge this week is a Designer Drafts Challenge. This is the April Sketch for the challenge. This is what I did with the sketch. I hope you like this card as much as I do, because I am in love with the dogs!! The challenge for CAS(E) this Sketch #120 features this sketch. Supplies Used: Stamps: Technique Tuesday Verbose (I think this is discontinued though), Penny Black A Bunch. 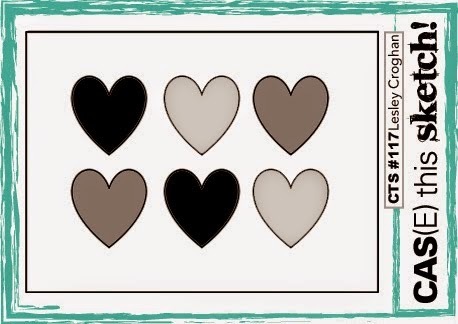 Dies: Simon Says Stamp Postage Stamp borders. 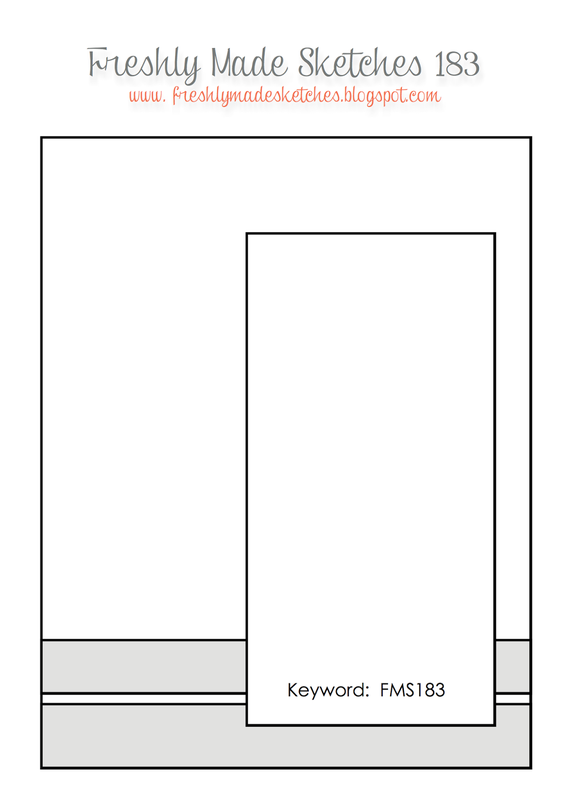 Copics: Jar-B000, BG011, BG013, Flowers-R27, R89, Leaves-YG00, YG03, YG63. See you soon, and thanks for visiting. I will be needing a few wedding/congratulations cards soon, so I decided to make one today. I am going to enter this card in the following challenges. and Freshly Made Sketches #183 which features this sketch. Thanks for coming by. Gonna babysit my granddaughter tomorrow, yay!! 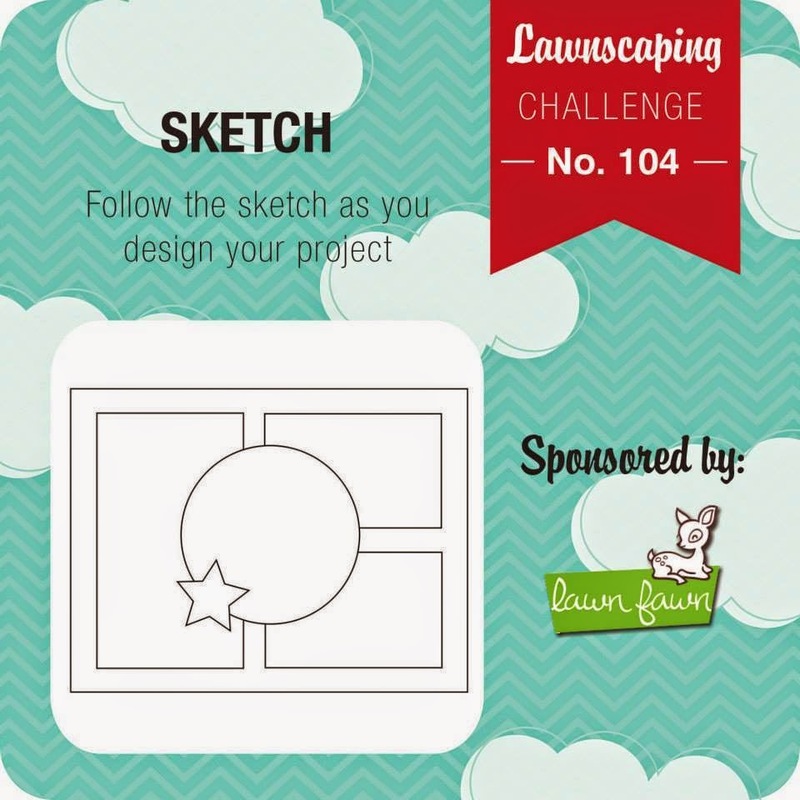 Lawnscaping Challenge # 104 features this sketch. To me, this sketch just said shaker card. :) This is what I made. I used Lawn Fawn's Milk and Cookies stamp set on this card. The images are so cute! I die cut the windows and then made it into a shaker card. All of the images are Copic colored and then cut out. I stamped the glass of milk twice, once on card stock and once on vellum. On the vellum I embossed the image and cut a slit in it to insert the straw and then adhered it to the card stock glass of milk. I think this will be a cute birthday card. Glad you came by and I'll see you soon. CAS(E) this Sketch #119 features this sketch. This sketch reminded me of fall, so I turned it into spring!! :) Here is the card I made. I used a stencil and different distress inks to create this image. I also colored embossing paste and applied it to some of the leaves for texture. I added a few sequins and used black embossing powder on vellum for the banner. Thanks for coming by, see you soon! 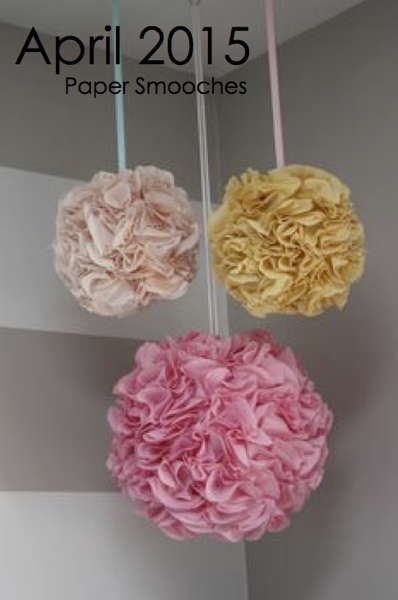 Paper Smooches challenge this week is a Picture Perfect Challenge. When I saw this photo I got so excited. I used Paper Smooches Bold Blooms on the card front. I applied distress ink on the stamp and then I spritzed it with some water and stamped it on watercolor paper. To stamp the centers I used distress ink without spritzing it to get more color. The frame I water colored separately in similar colors. I applied Ranger Liquid Pearls to the center of the flowers. The sentiment is from PS Fancy Frames Icons stamp set which I heat embossed with Ranger Platinum powder on vellum. Supplies used: Distress Inks: Ranger Spun Sugar, Worn Lipstick, Shabby Shutters, Forest Moss. 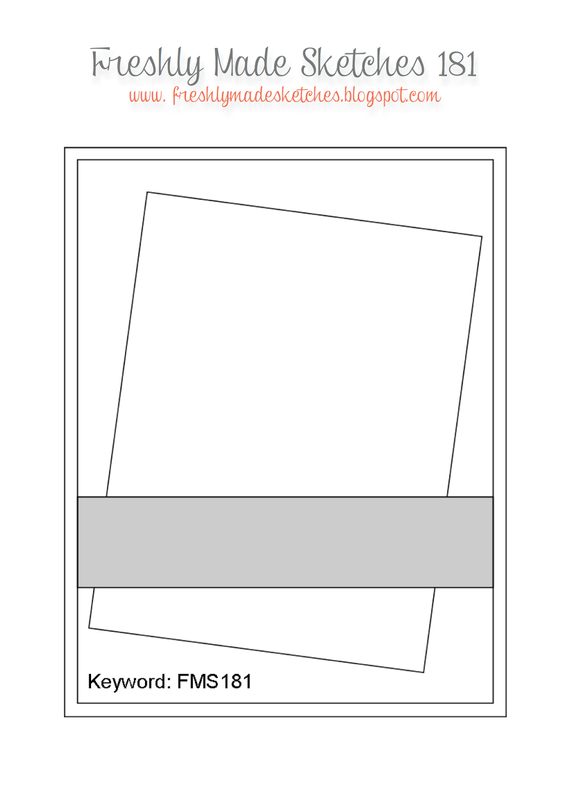 The challenge at Freshly Made Sketches this week features this sketch. I made this card for the challenge. This stamp is from Docrafts Simply Gorjuss Urban Stamps. I have several Gorjuss stamps that I absolutely adore. :) I watercolored this image with Ranger Distress Inks on watercolor paper. I used vellum for the sentiment strip. I heat embossed the sentiment with black embossing powder and used a Sakura glaze pen to add the dots on the strip. This image (to me) just looks so forlorn, like she is missing someone very much. 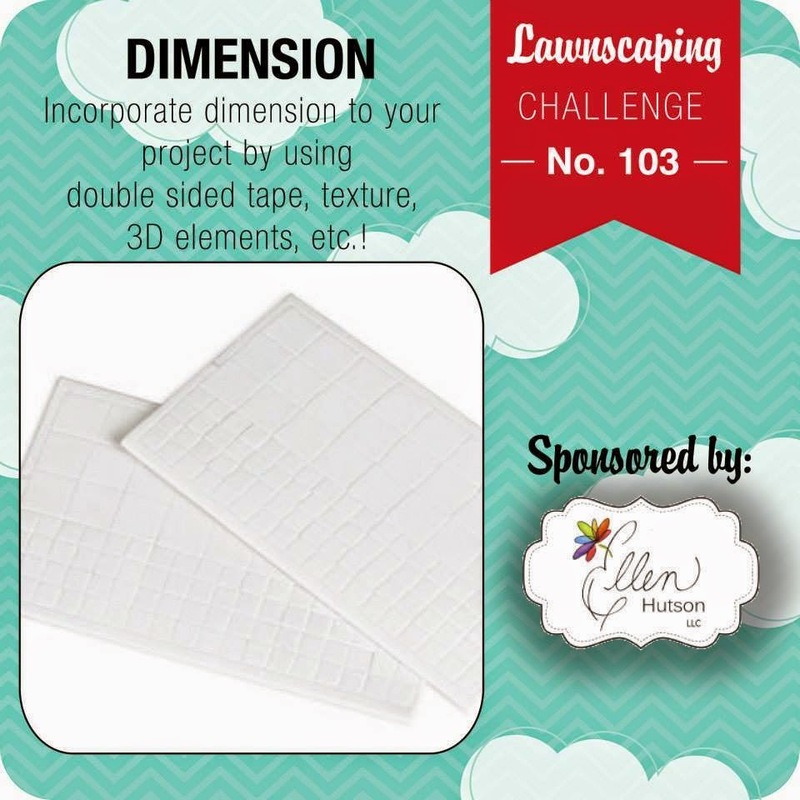 Lawnscaping Challenge #103 is all about Dimension. I love dimension, sometimes too much. :) Anyway my next door neighbors' love to camp, and I decided to make a card to give them the next time they go on a trip. 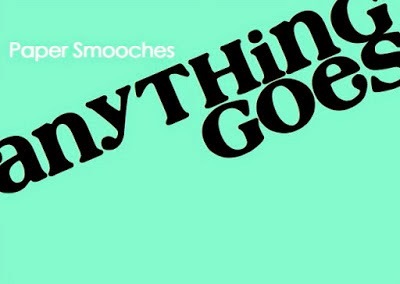 The April 5-11 challenge at Paper Smooches SPARKS Challenge is Anything Goes. My daughter needed a baby congrats card and asked if I would make one. This is what I came up with. In my house I have family pictures hanging all over the place, that is what gave me the idea for this card. I had such a good time making it. :-) I water colored the background, and cut it to fit the frames, which were stamped in black and heat embossed with clear embossing powder. 'Mom', 'Dad' and 'baby' were colored with Copics. I added a bowtie on 'Dad' and a flower on 'Mom'. The frames and greeting are mounted on foam tape. 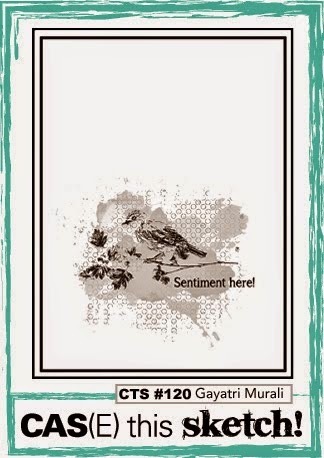 Stamp Sets Used: Paper Smooches-Fancy Frames, Spring Fling, Woofers & Tweeters, Sentiment Sampler. I liked the sketch for the challenge from CAS(E) this Sketch #117 this week. I water colored the background using distress inks, then used a faux stitched rectangle die cut to frame it. I die cut the little onsies from different patterned papers and added embellishments. The greeting is die cut three times, adhered together for dimension and then heat embossed with platinum embossing powder. 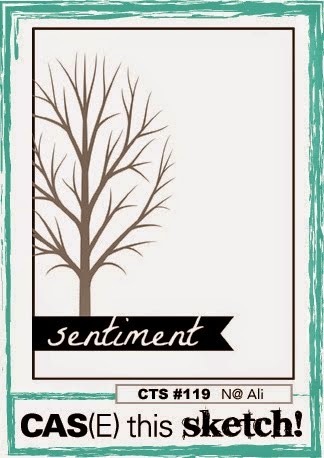 Supplies Used: Dies: Papertrey Ink(congrats), Avery Elle(onsie). Inks: Tim Holtz Distress Inks Worn Lipstick, Shabby Shutters and Scattered Straw Ranger Platinum Embossing Powder.